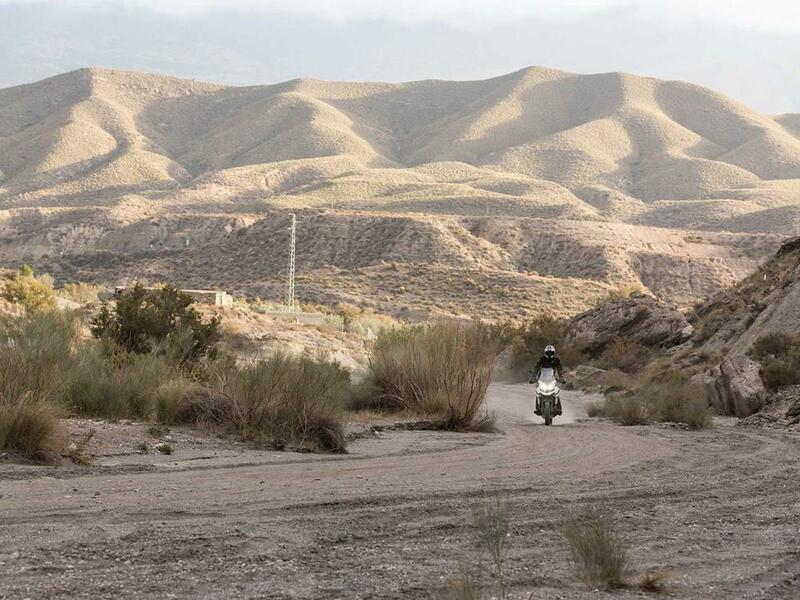 Think of the XC as a rugged looking adventure with all the bells and whistles that’s excellent on the road and can handle light trails and you won’t be disappointed. But if you are expecting a big-tanked world explorer with long travel suspension, you may feel slightly short-changed. On a gravel trail the XC is certainly capable. 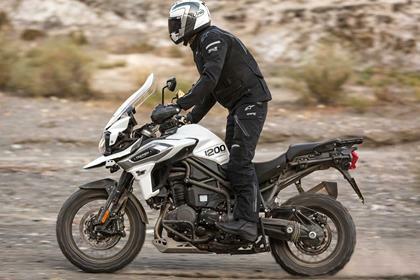 Selecting off-road mode gives you ABS on the front but not the rear and enough traction control so slide the rear before the electronics bring it back into line, giving you the confidence to play around on the bike. It’s certainly no lightweight at 248kg dry, which can be a little intimidating for less experienced off-roaders, and its lack of suspension travel does see the sump guard hit the floor over jumps, but it is ok. More experienced riders can select off-road pro, which disables the TC and ABS. On the road it is excellent, just like the XR model. 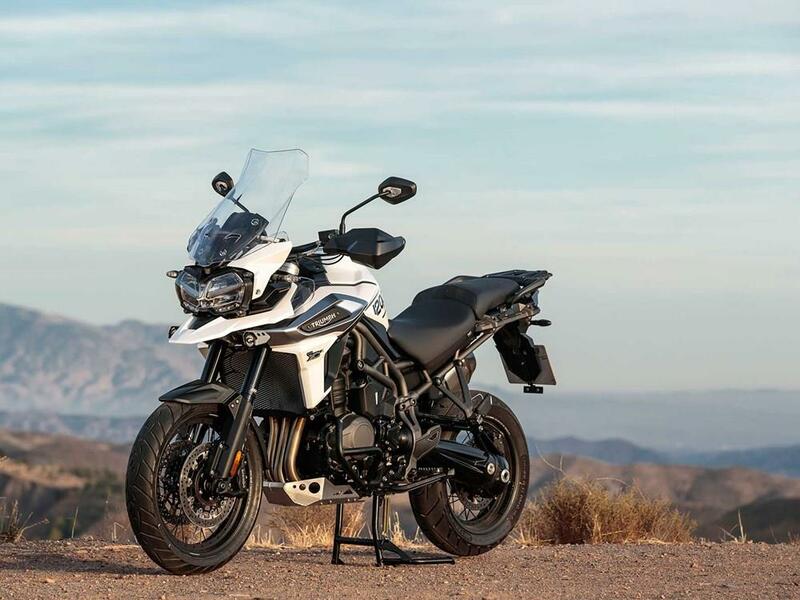 Yes it’s more powerful than the GS, but that’s not the point, what makes Triumph’s triple stand out is a superb throttle connection and overall feeling of quality. The transition from a closed throttle to a partially open one is incredibly smooth and the triple motor is vibe-free and oh so easy-going thanks to its abundant mid-range as well as pleasingly zingy up the top end. It just feels a classy unit and this impression of refinement is further enhanced by Triumph’s clever use of technology. The overall level of finish is appears good on the Tiger, but previous generations have suffered a bit when it comes to retaining their looks. Reliability has never been called into doubt, but visually they can look tatty if used and not cared for. Service intervals are pleasingly high with the major one due every 10,000-miles. With a price tag of £16,950 the XCA is the most expensive adventure bike currently on the market, but the Triumph does boast features its competition lacks. If you want to save a few quid, a slightly lower spec XCX option is available costing £14,950. The XC comes in two formats – X and A – with the spec increasing alongside the price tag. Both models come absolutely loaded with kit and as standard have cornering ABS and TC, a TFT dash, 5 power modes, semi-active suspension, cruise control, an electronic screen and far more besides. The top of the range A version adds an extra programmable power mode and off-road pro, an up and down quickshifter, adaptive cornering lights, hill start assist and billet machines footpegs to the party. Where the XR models have cast wheels, the XCs gain spoke wheels. Front suspension 48mm inverted WP forks, semi-active damping (standard XR non-semi-active). 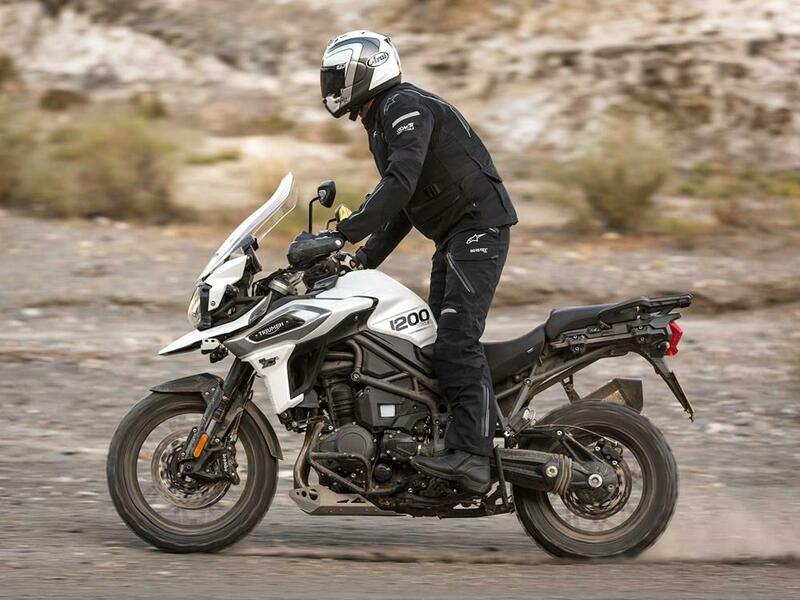 1 owner has reviewed their TRIUMPH TIGER 1200 XC (2018-on) and rated it in a number of areas. Read what they have to say and what they like and dislike about the bike below. Mega mile muncher with superb comfort and weather protection. Creamy engine and faultless fuelling. Heavy yes, but once moving it's fine, very agile for such a big lump. Happy on country B roads and motorways. Ride quality, superb, auto rear preload and damping set depending on the rider mode (user customisable). Linked brakes a boon, this is a 10 hour a day comfortable bike, the seat (heated) is superbly comfortable. Probably the best thing about this bike, faultless fulling at all speeds, creamy smooth, warp speed capable!  A few unexplained starting issues which seems to have magically sorted themselves? Arrow exhaust can come loose at the main joint, watch out for and keep the clamp tight. Unexplained rear TSAS suspension error, reset by dealer. Overall build quality high and well thought out, no signs of corrosion even after plenty of wet riding. 10K service intervals excellent, 20K interval for valve clearance even better. Apart from that running costs are petrol, zero chain maintenance on this shaft drive. Cornering, traction and ABS, you don't know they are there but nice to know they are in the background. Quickshifter up and down with auto-blipper is very competent and works well. Linked brakes and hill hold excellent. Changing the ride is so easy with the damping control to suit conditions. The electric screen, initially thought as a bit gimmicky ends up getting used all the time depending on speed, it makes a difference. The larger touring screen on the XCA allows a helmet peak at motorway speeds no problem. Dealer - easy peasy purchase and trade-in.